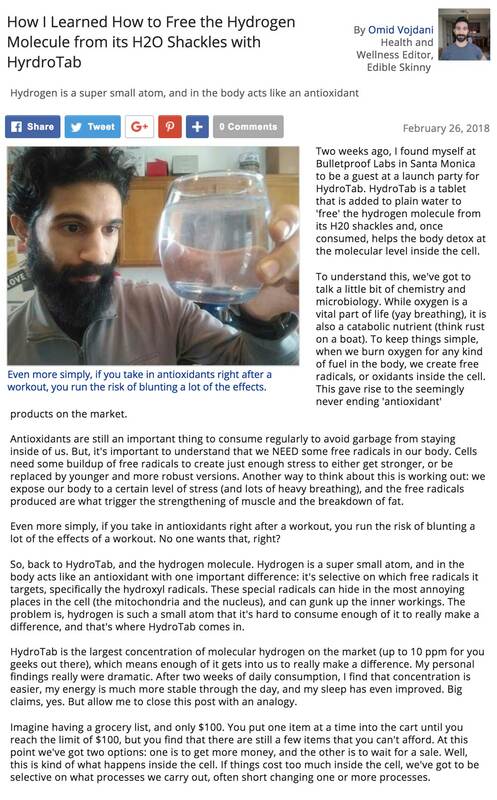 HydroTab is the largest concentration of molecular hydrogen on the market (up to 10 ppm for you geeks out there), which means enough of it gets into us to really make a difference. My personal findings really were dramatic. After two weeks of daily consumption, I find that concentration is easier, my energy is much more stable through the day, and my sleep has even improved. Big claims, yes.